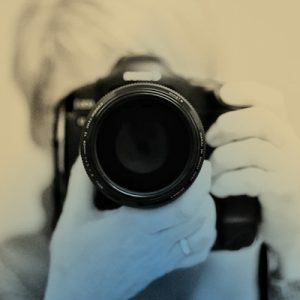 You are here: Home / Photography / Improve Your Skills; Private and Personalized Photography Lessons – Available now! Woyski Works offers private, personalized, one-on-one photography lessons. In addition to customized instruction, you’ll also get invaluable constructive critiques of your photos so you can take your skills to the next level. Contact me for a free consultation. Do you have a new camera and want to learn how to use it? Mastering photography starts with mastering your camera. Don’t miss another shot because you can’t find the setting you need or you don’t know which one(s) to use. Learn how to set custom functions and change your settings on the fly so you can focus (ha!) on creating art instead of fumbling with your camera. Are you stuck on the green box? Not sure when to use aperture priority, shutter priority or manual? Unlock the mysteries of these settings, gain a full understanding of the exposure triangle and start taking the photographs YOU want instead of the photographs your camera thinks you want. Do you want to take better vacation photos? Are you setting off on the trip of a lifetime and want the best possible photos of your trip? Brush up on your skills and disco creative techniques to make your photos pop and tell the story of your travel adventure. Having trouble figuring out which lens to use? Do you know when to use a wide angle lens? A standard zoom lens? A telephoto zoom lens? Prime lenses? Take control of your lenses and learn when and how to use each one to achieve the optimum effects for which each lens is designed. Does the photo you took pale in comparison to the photo in your mind? It is maddening to envision a photograph, set it up, and fail to get it. Learn how to analyze and deconstruct your photos for their strengths and weaknesses. Gain an understanding of the critique process so that even your best photos are a learning experience to even better photography. Sign up now for 4-week or 8-week private, personalized photography lessons! We start with an in-depth consultation and a questionnaire to identify your skills and weaknesses. I create custom lessons that are tailored just for you. Each lesson is designed to expand your photography techniques, skill sets and general photography knowledge. We won’t waste time on what you already know and focus only on what you want to learn. Each lesson is enhanced with a photography homework assignment so that you can practice and sharpen the skills learned in each lesson. Upload your lesson photos to your private lesson folder and together we will analyze, deconstruct and constructively critique your photos so you can identify the techniques you have mastered and those that need more practice. See the applause from my students!